Can I develop multiple stories for multiple outlets from the grant? Yes. impactAFRICA seeks to help journalists improve the impact and reach of their reportage. One-off stories in single market publications / broadcasters have limited effect. Proposals for projects that entail a series of reports in multiple media outlets are therefore welcome. Can I submit more than one story pitch/proposal? Yes, you can submit more than one pitch. In fact, there are no limitations to how many story pitches you can submit. Applicants should, however, be realistic about their ability to execute on multiple simultaneous projects. Yes. Your project can eventually be published in local languages, but we will only accept applications submitted in English due to a high volume of submissions. Can my final project be published in a language other than English? Projects can be published / broadcast in any of the local languages of the eligible countries. All projects supported by impactAFRICA must however also be translated into English, so that we can ensure that it reaches the widest possible international audience. Do I need to be African, or a citizen of one of the six target countries to be eligible? No. impactAFRICA is open to applications from teams of journalists or news innovators from all across the world. impactAFRICA does not, however, support parachute journalism. All project teams should therefore include members from their target country, to ensure local context and local involvement in the storytelling. impactAFRICA also does not support window-dressing. Applicants should therefore ensure that all team members are integral to the project. Do I need to publish or broadcast my story in one of the target countries? Yes. impactAFRICA seeks to help strengthen African media, by helping local newsrooms experiment with new digital and data techniques for improved reportage and audience engagement. But, this does not prevent applicants from building media consortiums that include both local and international media partners. Will impactAFRICA help me find local African media partners if I am based elsewhere in the world? It is the responsibility of the applicant to find appropriate local publication / broadcast partners, as well as local journalistic partners. impactAFRICA can, however, help evaluate potential partners and can help suggest additional partnerships on request. Do I need to prove that my media partners have formally committed to public / broadcast my story? A formal letter of commitment is not necessary yet at this stage of the application process. You should however workshop your proposal with your media partner prior to submitting your application, so that you can accurately indicate what resources your partner will commit to the project. I have a great development story, but it does not contain any innovative digital elements. The story still deserves to be told. Can I apply for support? Yes, but such stories will be examined on a case-by-case basis and will only be offered support if impactAFRICA is confident that innovative digital approaches can be incorporated into the project. Can I apply for a grant if I have already received support from impactAFRICA or its partner organisations? Yes. impactAFRICA will however carefully evaluate your proposal to ensure that additional support is warranted. No. impactAFRICA does not give awards to already published stories. The programme provides funds and other support to enable journalists and media organisations to pioneer new work and not to receive money for already published work. Would you fund the expansion of an existing, successful project? Yes. impactAFRICA will however only fund expansion of an existing project if there is compelling evidence that the expansion will chart new territory. Can my project propose the creation and maintenance of new standalone websites that cover development topics? No. impactAFRICA is designed to support existing media improve their coverage of development issues. Other Code for Africa funding initiatives may be able to assist with the establishment of independent new ventures. Does that mean that impactAFRICA will disallow all websites? No. impactAFRICA is happy to support development of websites connected to existing media partners, either as standalone project sites or as ‘child sites’ of your media partners’ existing digital platforms. Applicants should be mindful that impactAFRICA aims to achieve large public impact and will therefore prioritise proposals that offer access to existing large audiences. Can I propose a book project? impactAFRICA projects must be published by August 31, 2016. Traditional book projects are unlikely to be complete prior to this deadline, and would therefore be ineligible. impactAFRICA would, however, be open to proposals for journalistic e-books if there is compelling evidence that the project would be published and distributed by August 31. Yes, but only if you can demonstrate a media partnership to publish the resulting research in journalistic format that adheres to the innovative storytelling guidelines that we have explained elsewhere in the FAQ section, and also only if the research itself is innovative and is designed to reach a large audience in one of the eligible countries. I have invented a technological tool. Can I apply for support? Technological tools will only be funded if they augment journalistic storytelling, and if their end goal is dissemination of development information. I want to support NGO development work. Can I get funding? I don’t have a letter of intent. Can I still submit a story pitch? Yes. A letter of intent will only be required from shortlisted applicants who are invited to submit a full application. Can I apply as a freelancer with no media behind me? Yes, but you must have workshopped the project with your proposed partner media prior to submission. You will only be required to submit a formal letter of intent to publish from your partner media if you are shortlisted as a finalist. I do not work for any of the eligible media outlets. Can I apply? Yes, you can apply if you partner with an eligible media organisation. Cross-country partnerships are very much encouraged. Yes, if you partner with an eligible media organisation. Who decides which projects win the contest? An independent jury consisting of global media and development experts will select the winners. Go to http://impactafrica.fund/judges to find full details of the judging process. Will support be given to the journalist or the partner media organisation? Whether an organisation or individual receives the funding depends on the setup of an individual project and the wishes of the grant recipients. Individuals will be subject to fulfil stricter documentation requirements for their expenses. That is because organisations in the eligible countries can be assumed to have proper accounting and submit to regular audits, whereas individuals might not. What will finalists / winners receive? All 10 finalists will receive production grants to enable them to produce their stories, along with technology support, journalistic mentoring, and support on issues ranging from audience strategies to syndication of the content. The size of the production grant will be determined by the detailed budget workshopped for each project by the applicant and impactAFRICA. The resulting stories will reviewed by a jury, and three winners will be selected for an additional cash prize. How will the production grant money be distributed? The money will be distributed in two instalments. The first half of the approved grants will be paid to successful applicants upon signature of the grant agreement, while the second half will be paid on evidence of publication of a finished project in agreement with the original proposal. The second instalments are not guaranteed if projects are not completed in due time or if the projects are published in a different form or in a different outlet than originally proposed. Only documented expenses will be covered. If I am invited to submit a full application, does that mean I will get the funding? No. An invitation to submit a full application does not guarantee you will receive funding. It means that your story sounds promising and that we need to look into more details in order to make a final decision. All applications invited to submit a full application will receive individual confirmations and funding will be awarded only upon signature of a grant agreement. Can a portion of the grant be used as a stipend for freelancers during the reporting, writing and production of the piece(s)? If so, what is the maximum proportion of the grant that may be applied to the stipend? Yes. There is no specific proportion. impactAFRICA is a support fund for data-driven storytelling. Run by Code for Africa, it offers $500,000 in grants and technical support for pioneering digital journalism that tackles development issues, such as public healthcare, in six African countries: Ghana, Kenya, Nigeria, South Africa, Tanzania and Zambia. What is Code for Africa?  Code for Africa is a continental federation of civic technology and digital democracy organisations that seek to empower citizens by giving them access to actionable information along with new ways to amplify their voices. The federation has country-based affiliates in Cameroon, Ethiopia, Ghana, Kenya, Nigeria, South Africa, Tanzania, and Uganda, with additional projects in another 15 African countries. What kinds of projects are we looking for? impactAFRICA will support projects that use data journalism and other digital storytelling techniques for in-depth reportage into hidden, neglected or under-reported development issues. Projects should propose innovative ways to use digital techniques for compelling storytelling with dramatically improved audience engagement, and should use data or other digital techniques to personalise or localise stories for improved relevance and maximum impact. What does impactAFRICA mean by ‘impact’? Far too much journalism is empty regurgitation or fearmongering, that leaves audiences disempowered or despondent. impactAFRICA therefore aims to rather support projects that empower audiences and that offer opportunities for active citizenship by giving new personalised / localised insights along with actionable information or resources. Without being prescriptive, and without straying into advocacy, ‘impact’ could include wider evidence-based public discourse on an issue, or improved public accountability or service delivery, or it could include policy measures or other civic action informed by your journalistic reportage, or it could include changes such as reallocation of budgets / public resources, new laws or measures, improved enforcement of existing laws, and other measurable, tangible outcomes. What does impactAFRICA mean by ‘audience engagement’? Journalism is meaningless if it doesn’t have an audience. impactAFRICA will therefore support projects that clearly demonstrate an understanding of who its media audience is and what the audience's priorities are. Applicants should also demonstrate plans or techniques for ensuring that audiences are engaged with the reportage. Without being prescriptive, this could include, pre-publication consultation to improve the focus of reportage, it could include crowdsourcing / citizen reporting or new ways to harness user generated content to augment journalistic reportage, or it could include new ways to create interactive or actionable content, or it could include new ways to solicit audience feedback and support for reportage. What does impactAFRICA mean by ‘innovation’? impactAFRICA defines innovation, in this context, as anything that goes beyond the existing stereotypes of development coverage. It can include new ways to journalistically research or produce development content, new ways to present or transmit journalistic storytelling, or new ways to curate audience engagement with development issues. How does impactAFRICA define ‘development issues’? impactAFRICA defines development issues as challenges that create or entrench poverty through disparities in healthcare, access to water and sanitation, food security, education, and inequality, as articulated by the United Nations Sustainable Development Goals. impactAFRICA is also interested in factors that contribute to development challenges, such as climatic and environmental disparities, and challenges around infrastructure and habitation that distort citizens’ access to basic services and that undermines African economies. What if I don’t want my idea to be public? Your initial story pitch will only be accessible to the impactAFRICA team. Finalists will, however, be expected to present their proposals at one or more public brainstorming and feedback events, prior to receiving resources from impactAFRICA. This is necessary, because we believe that ideas get better when they are subjected to peer review, discussion and feedback. Innovators who engage with the wider media community and prove widespread support for their ideas through public discussion will be at an advantage during judging. However, we understand that you might have competitive concerns and will therefore accept “closed” applications if there is a compelling case for confidentiality. How will impactAFRICA measure the success of a project? impactAFRICA will publish a public profile page for each successful project. The profile page will provide an overview of the story, the team that produced it, and the media who published it. This public profile will also track all public engagement with the story, tracking how many people are reading, commenting, sharing or otherwise interacting with the content, as well as recording any policy or other societal impacts influenced by the reportage. All applicants will receive an automated immediate confirmation email acknowledging receipt of the proposal. If you don’t receive a confirmation email within 24-hours of submitting your proposal, please send an email to info (at) impactAFRICA (dot) fund. When will I hear if I have been shortlisted as a finalist? All applicants will be notified of impactAFRICA’s final decision by email within four weeks of the deadline for submissions. What more is expected of shortlisted finalists? Shortlisted finalists will be invited to an impactAFRICA StoryCamp, for peer review of their proposal and for mentor-led brainstorming on ways to strengthen it. Shortlisted applicants will then have a further two weeks to submit a full application, with detailed workplans and budgets, as well as formal commitment from media to either publish or broadcast the resulting content. Will shortlisted finalists receive any support from impactAFRICA? Yes. impactAFRICA will offer finalists support from both its journalistic and technology teams. impactAFRICA will also offer help in syndicating the resulting stories into mainstream African and wider global media, to maximise your reach. All stories should be published by August 31, 2016. An independent impactAFRICA jury will review the published versions of all finalists’ projects, and will announce winners by September 30, 2016.